He also talked about his support for the #MeToo movement. Former President Bill Clinton for the second time yesterday addressed his handling of his affair with Monica Lewinsky, clarifying last night an earlier answer that he gave on the topic yesterday morning. "The hubub was I got hot under the collar because of the way the questions were asked," Clinton said Monday night, referencing his interview on NBC's Today Show earlier that day. "I think what was lost were the two points that I made, that are important to me: the suggestion was that I never apologized for what caused all the trouble for me 20 years ago," the former president said. "So first point is I did." "I meant it then and I meant it now," he continued. "I apologized to my family, to Monica Lewinsky and her family, and to the American people before a panel of ministers in the White House, which was widely reported. So I did that, I meant it then and I mean it today. I live with it all the time." "The second is that I support the #MeToo movement and I think it's long overdue and I have always tried to support it in the decisions and policies that I've advanced," he said Monday evening, at an event held at the Schomburg Center for Research in Black Culture in New York City. (SplashNews.com) James Patterson and Bill Clinton talk about their new Book "The President is Missing" at Bookcon in New York City, June 4, 2018. The specific point of contention in the Today Show interview arose when reporter Craig Melvin asked if Clinton had apologized. The former president responded saying, "I have. I apologized to everyone in the world. It is important to me that everyone has been hurt, know that the sorrow I feel is genuine. First and most important, my family, Monica Lewinsky and her family." "You didn't apologize to her?" Melvin asked. "I did not talk to her," Clinton said. "Do you owe her an apology?" Melvin said. "No. I do not -- I have never talked to her. But I did say publicly on more than one occasion that I was sorry. That's very different. The apology was public," Clinton said. 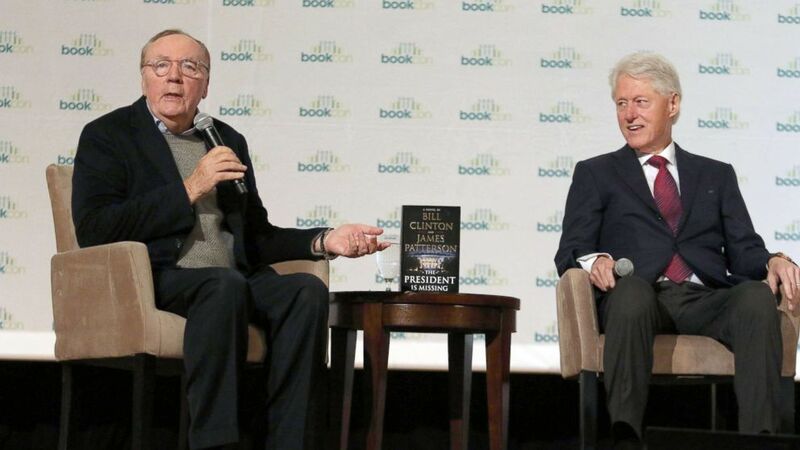 Clinton is granting interviews as part of a promotion tour for a new political thriller that he co-authored with the writer James Patterson called "The President is Missing."